Join Simon and Raven as they flash to the past guiding your child on an epic adventure through history – exploring ancient civilizations, discovering fascinating people, and witnessing monumental events! 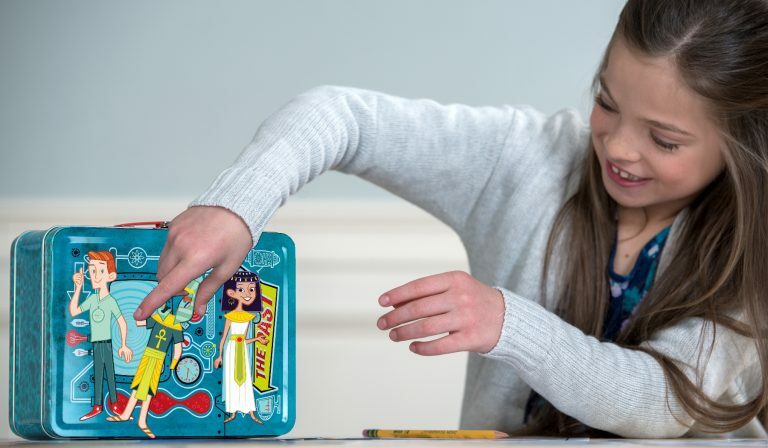 Flash to the Past is a monthly subscription program designed to engage your child in fun learning activities, hands-on discovery, and exciting challenges. Each month your child will explore a historic destination, time-travelling to the unforgettable events of the past. Explore and collect! With Flash to the Past, your child will curate several unique collections. 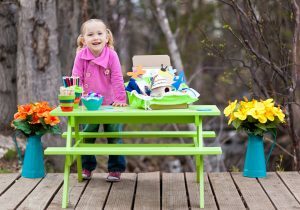 Your child will develop skills through organizing and classifying, while learning to be responsible for their collections. 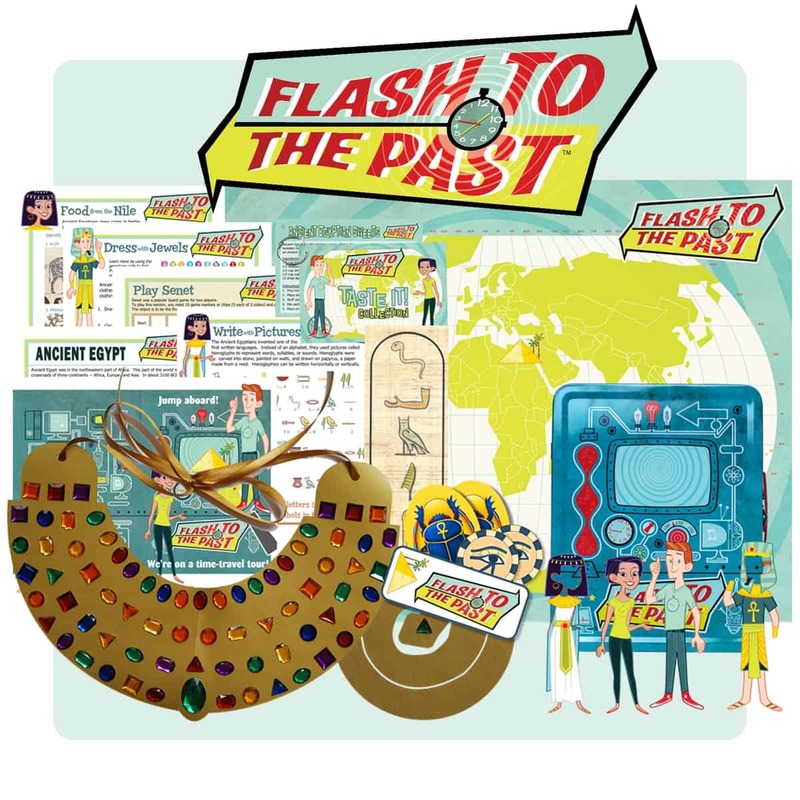 Flash to the Past offers an epic collection of dress-up magnets, world poster stickers, recipe cards, and souvenirs to keep your child exploring for ages! Flash to the Past is designed for children ages 6-12. Choose the one that’s right for your child – Flash to the Past Junior offers activity sheets suitable for ages 6-7, while Flash to the Past offers more challenging activity sheets for ages 8-12. The collections in each are identical. 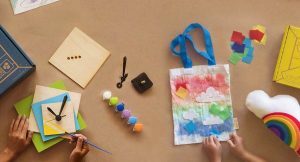 You’ll love to see the excitement as your child anticipates the arrival, explores the activities, and curates the collections! Flash to the Past is an epic adventure to keep your child exploring for ages! How would you rate Flash to the Past ?